Room rates for this prestigious event are set to increase this week when the deadline for discounted rates expires. All the events and accommodation at the biggest annual geothermal event are in one location, the luxurious Peppermill Resort Spa Casino, the only resort in the United States whose heating source is totally provided from geothermal energy produced on the immediate property. Reserve your room using the dedicated website for GRC and GEA hotel room reservations. Discounted room rates end at midnight tonight. Sarulla Geothermal Power Plant will have an installed capacity of 330 MW which will be constructed in three phases of 110 MW each. The construction of phase 1 commenced in 2014 and its commercial operation is expected in 2016. Phases two and three are expected to begin commercial operation in 2017 and 2018 respectively. For those who are interested please apply via link below no later than September 9, 2015. All positions based in North Tapanuli, North Sumatra. Kenya and Turkey have exceeded forecasts for harnessing geothermal energy, but other developing countries, including Indonesia and the Philippines, are lagging behind on leveraging the renewable power source, a new analysis shows. If developing nations are to carry out planned expansion of geothermal energy capacity, $133 billion needs to be invested in the sector by 2030, the Climate Policy Initiative (CPI) research group reported on Wednesday. Meeting the target to build 23 GW of geothermal capacity over the next 15 years (one GW is enough energy to power 750,000 homes) would require a 7- to 10-fold increase in funding from governments and development financing bodies, the CPI said. Because it is volcanically active, the island of Kyushu is ideally suited to geothermal power generation. That prompted Kyushu Electric Power Co. to announce an ambitious plan on Aug. 5 to double its geothermal output by 2030. Even though geothermal power accounts for a miniscule share of overall electricity demand, the regional utility said it plans to gradually add more power stations in years to come. One bonus is that geothermal generation offers a more stable electricity supply source compared with solar or wind power. Kyushu Electric held a completion ceremony on Aug. 5 at the Sugawara Binary Cycle Power Station, a geothermal power generation facility in the town of Kokonoe in Oita Prefecture. With an output of 5 MW, it will produce approximately 30 million kilowatt hours a year, or enough to power 8,000 typical homes. 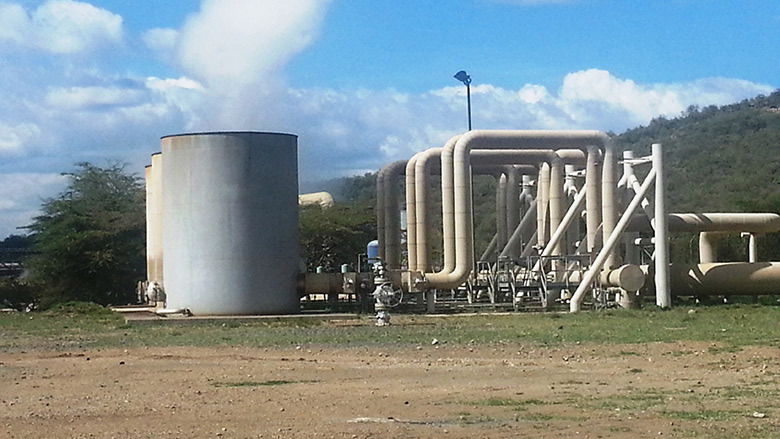 The Geothermal Development Company has successfully piloted the direct utilization of steam in a move aimed at diversifying geothermal use apart from power generation. A pilot project in Menengai has seen geothermal used for laundry services, milk pasteurization as well as fish and tomato farming. Energy Principal Secretary Joseph Njoroge welcomed the idea and challenged investors to upscale the pilot projects into commercial ventures to drive industrialization and job creation. Trans-Asia Oil and Energy Development Corp. is no longer interested to bid for the selection and appointment of an independent power producer administrator (IPPA) for the bulk energy of the Unified Leyte Geothermal Power Plants (ULGPP), its top official said. “We will no longer bid for it. Geothermal is expensive. It’s capital intensive. Coal is still much cheaper,” Trans Asia President Franciso Viray said in a text message. Trans-Asia was among the four investor groups that earlier expressed to bid for the supply of bulk energy. The other three are SPC Power Corp.; Therma Central Visayas Inc.; and Unified Leyte Geothermal Energy Inc. All four earlier attended the prebid conference conducted by the Power Sector Assets and Liabilities Management Corp. (PSALM). Philippines: Geothermal Could be Added to Feed-in-Tariff Incentive Scheme. The jury is still out, but a recently-issued Circular of the Department of Energy (DOE) has been providing an opening for the renewable energy (RE) developers to ask for a concession that the conventional geothermal and big hydro developments be included under the feed-in-tariff (FIT) incentive scheme. When asked on this matter, Energy Secretary officer-in-charge Zenaida Y. Monsada has assured that such proposal will be thoroughly studied before any decision on the policymaking front shall be firmed up. “The body initiating discussions on FIT proposals is NREB (National Renewable Energy Board), so it started with them but we have to look at that,” she said. The DOE Circular (DC2015-07-0014) sets a policy tone on the ‘wholistic implementation of the FIT system” so the country can maintain a 30-percent share of renewable energy on its power mix. New renewable energy (RE) service contracts are expected to be awarded to developers this week, an official from the Energy department said, noting this will mark the conclusion of the second round of open and competitive selection process (OCSP 2). Mario C. Marasigan, director of the agency’s Renewable Energy Management Bureau, said the last leg of applications evaluation is due tomorrow. This auction round covers four geothermal sites with aggregate potential capacity of up to 134 MW. A total of eight offers for four geothermal concession areas were received. 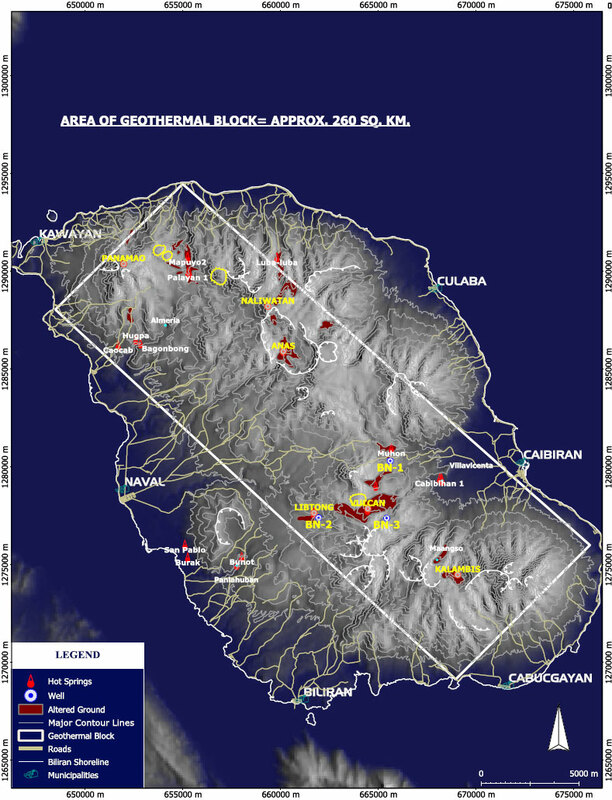 For geothermal, Repower Energy Development Corp.; Cabalian Bay Company, Inc.; and Aboitiz Renewables, Inc. submitted offers for area 2, which covers the Southern Leyte geothermal prospect. For area 3 -- covering the Amacan geothermal prospect in Compostela Valley -- APC Energy Resources, Inc.; Emerging Power, Inc.; Energy Development Corp.; Biliran Geothermal, Inc.; and Repower participated. The Oregon Department of Geology and Mineral Industries has given Oregon State University nearly 20 pallets of rock and sediment samples collected from sites throughout the state. 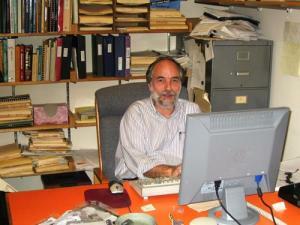 GRC Member Mark Reed, a professor of geology at the University of Oregon, researches ore deposits and geothermal energy. Reed said he would be particularly interested in the samples drilled by companies exploring for geothermal energy. “I’d be thrilled to have access to a core like that,” Reed said. If you are interested in donating geothermal core samples contact Professor Reed. Since 1972, Oregon mine reclamation regulations required operators to submit a well record “that included coring cuttings as they were gathered,” said Clark Niewendorp, industrial minerals geologist at the Oregon Department of Geology and Mineral Industries. The materials remain confidential for four years if they are from oil and gas well, and five years if they are from geothermal wells. For example, Niewendorp said cores from geothermal exploration at Newberry Volcano in central Oregon will soon become public records if the company that drilled them offers them to the state. Japan, a volcanic country, is rich in geothermal resources. Wider use of geothermal power generation, which is useful in the fight against global warming, should be promoted. The Environment Ministry has worked out a policy of easing restrictions on geothermal power generation in national or quasi-national parks. The ministry will notify prefectural governments and other entities of the new policy shortly. After the disaster at the Fukushima No. 1 nuclear power plant, expectations for renewable energy have grown. Also driven by the government’s feed-in tariff system for energy generated from renewable resources, the number of geothermal power generation projects has been rapidly increasing. There have been movements to develop geothermal power, including those at the feasibility study stage, at about 70 locations. Development of geothermal power plants is picking up in Indonesia and the Philippines, providing opportunities for many Japanese and Western companies. Geothermal energy has few global titans, unlike fossil-fuel power, so Japanese and Western companies often partner with locals in various forms to take part in projects. At the Sarulla Geothermal Power Plant under construction on northern Sumatra in Indonesia, a tower over 55 meters high has been built to capture water heated by magma underground. As drilling equipment makes a groaning noise while it digs to a depth of 2,000 meters, steam shoots up from a test well. A path for heavy equipment has been created by clearing the forest around the site. The plant, which is to begin operations in November 2016, will be the world's largest. Its planned capacity of 330 MW is triple that of Japan's biggest geothermal plant, in Oita Prefecture. The price tag is estimated at more than 100 billion yen ($818 million). Lecture: Advanced seismic imaging of geothermal reservoirs- is there a geothermal seismic signature? In the geothermal fields of the Great Basin physiographic province of western North America, drilling success or failure often depends on hitting fault or fracture zones. Advanced seismic reflection imaging has proven to be the only effective geophysical means of accurately targeting geothermal drilling. At target depths of 1 to 2km, the pay zones are often less than 0.1 km wide. The development of advanced seismic imaging techniques has led to drilling success rates of 80% at some prospects. Advanced imaging is able to focus direct images of steeply dipping faults as seismic reflectors, allowing accurate planning of geothermal drill targets. The technology achieves the focusing and accurate location of structure and stratigraphy through thick piles of heterogeneous Tertiary volcanics, below complex surficial basin structure. 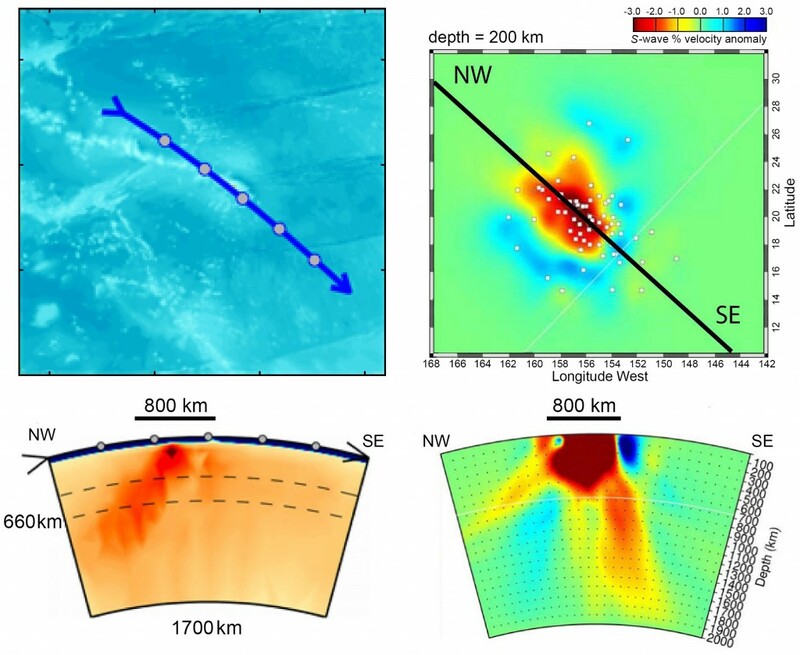 This capability is allowing researchers to use these seismic images to carry out advanced seismic attribute analyses, model testing, and verification of tectonic hypotheses. We are further refining the imaging methodologies, conducting joint inversions of seismic along with other geophysical measurements, and inspecting the amplitude-versus-offset (AVO) characteristics of geothermal reservoirs in Nevada. The deadline for early-bird rates for registration for the biggest annual geothermal event is this Sunday, August 30. The GRC Annual Meeting & GEA Geothermal Energy Expo will bring together geothermal companies, academics, financiers, policy leaders, students, and other individuals to attend or exhibit at the event, to be held from September 20 to 23 at the Peppermill Resort Spa Casino, Reno, Nevada, USA. Early birds who register before August 30 pay only $795 as GRC members or $895 if non-members. The non-member registration includes GRC membership through 2016. Students with a current identification card from an accredited institution pay just $5 which also includes GRC membership through 2016. Registration to the GRC Annual Meeting also includes entry to the GEA Energy Expo. 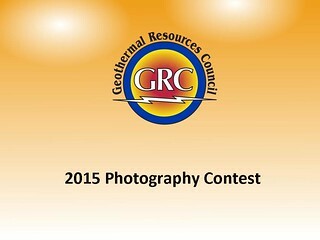 Registration is available from the GRC website at www.geothermal.org. A Preliminary Program complete with a Registration Form is available to view and download. However, the GRC recommends online registration through a securedconnection. The link is also available on the front page of the GRC website at www.geothermal.org. The deadline for discounted hotel room rates is this Monday, August 31. Hotel room reservations can be made by following a link here. This is the premier gathering to learn about the latest developments in geothermal energy. Last year, the GRC Annual Meeting & GEA Expo hosted over 1,400 representatives from more than 39 countries. In 2015, an even broader international attendance is anticipated. For more information about the GRC Annual Meeting & GEA Geothermal Energy Expo at the Peppermill Resort Spa Casino, Reno, Nevada, USA visit www.geothermal.org or call (530) 758-2360. Deep within Earth’s interior, in the brittle lithosphere and in the viscous asthenosphere below it, magma collects and ultimately feeds erupting volcanoes on Earth’s surface. This magma holds keys to understanding the processes that create island chains like Hawaii. However, scientists can map the mantle—or any part of Earth’s interior—only by using remote sensing techniques. The most important such technique is seismic tomography. This report describes a geospatial analysis method to estimate the economic potential of several renewable resources available for electricity generation in the United States applied to several renewable generation technologies under a variety of assumptions—including land-based wind, utility photovoltaics (UPV), distributed photovoltaics (DPV), hydropower, geothermal (hydrothermal resource only), and biopower (dedicated combustion plants only, not including co-firing), primarily from a 2014 perspective. Geothermal (hydrothermal resources only) is estimated to provide 130 – 150 TWh of annual potential, which appears only in the West (Pacific and Mountain Census divisions), consistent with the location of existing generation. of the range is two-thirds of geothermal (hydrothermal resources only) annual technical generation potential of 278 TWh. For Primary Cases 2 and 3, potential appears only in the West (Pacific and Mountain Census divisions), consistent with the location of existing generation. California garners two-thirds of the estimated national annual potential, with three other states having potential of at least 8 TWh, compared to 2 states in Primary Case 1. The Kenya Electricity Generating Company or KenGen scored a double win at the inaugural East African Power Industry Awards in Nairobi on Thursday evening when the utility won the Outstanding Clean Power Award and also took top place in the Excellence in Power Generation category. The awards honor the outstanding power professionals and projects in the East African region and the sold-out gala dinner took place during the East African Power Industry Convention (EAPIC) that gathered more than 1200 energy professionals in the Kenyan capital this week. KenGen won in the Outstanding Clean Power Project category for the Olkaria Expansion Project, , Kenya. The judges commented “The final piece in one of the largest geothermal power projects in the world. Making Kenya a world leader in Geothermal energy and significantly contributing to bringing down the cost of power in Kenya by directly offsetting thermal based generation”. KenGen also won in the Excellence in Power Generation category. Taiwan is located at the margin of young orogenic belt which the Philippine Sea plate collides with Asian continental margin. It is characteristic that the geothermal manifestations and hot springs are widely distributed in the island and has great potential to explore and develop the geothermal heat for power plant. A 3 MW pilot power plant, therefore, was constructed in 1981 and terminated in 1993 in the Chingshui area of Ilan, northeastern Taiwan. Recently, about 1 GWe and 33 GWe of installed capacities have been assessed for traditional and deep geothermal resources, separately. The Salvadoran government has announced the start of drilling activities for a geothermal well in Chinameca, department of San Miguel, some 138 kilometers east of the capital, San Salvador. The Comisión Ejecutiva Hidreléctrica del Río Lempa (CEL) estimates the new well will produce from eight to 10 megawatts of geothermal energy by 2017. CEL president, David Antonio Lopez, said that the investment is estimated at $7.5 million USD. The CHI 6A well is in the Chinameca Geothermal field, which, as a whole, is estimated to have a capacity of 50 megawatts, hopefully achieved by 2019. The drilling of four more wells for production and reinjection is expected later this year. The production wells reach a reservoir temperature of between 240 and 260 degrees Celsius at a depth between 1,800 and 2,000 meters. Though Schlumberger’s position as the biggest oil field services firm in Houston will stay the same following its deal to acquire Cameron International, the corporate map of Houston’s biggest energy companies will look a lot different soon following the crude crash. On Wednesday, Schlumberger said it would buy Cameron for $12.7 billion in one of the largest oil and gas industry deals of 2015. Schlumberger had $48.6 billion in revenue in 2014, and will maintain its position as the biggest oil field services company in the world following Wednesday’s deal. But the deal that emerged in Nov. 2014 that would merge Schlumberger’s next closest rivals, Halliburton and Baker Hughes, will create a much more competitive challenger in that sector. Halliburton earned $32.9 billion in revenue in 2014, and Baker Hughes had $24.6 billion. The host city of the GRC Annual Meeting & GEA Geothermal Energy Expo is proud of its efforts to use more renewable energy. More-so, the "biggest little city in the world" is very aware of the geothermal energy resource in its back-yard. Room rates for this prestigious event are set to increase next week when the deadline for discounted rates expires. Discounted room rates end August 31. The 170 MW Efeler geothermal plant is being built by a subsidiary of Güriş Holding, a leading Turkish renewable energy company. The plant’s five units – three of them already operational – are situated near the western town of Germencik, in the Buyuk Menderes Graben, the area in Turkey with the greatest potential for geothermal energy. With the emergence of open resources and new technologies, Americans today have scads of knowledge at their fingertips. Yet sifting through data is a major barrier for most. By visualizing global trends, however, the National Oceanic and Atmospheric Administration (NOAA) has found a way to see earth science information rolled out in colorful maps on an animated 6-foot globe. 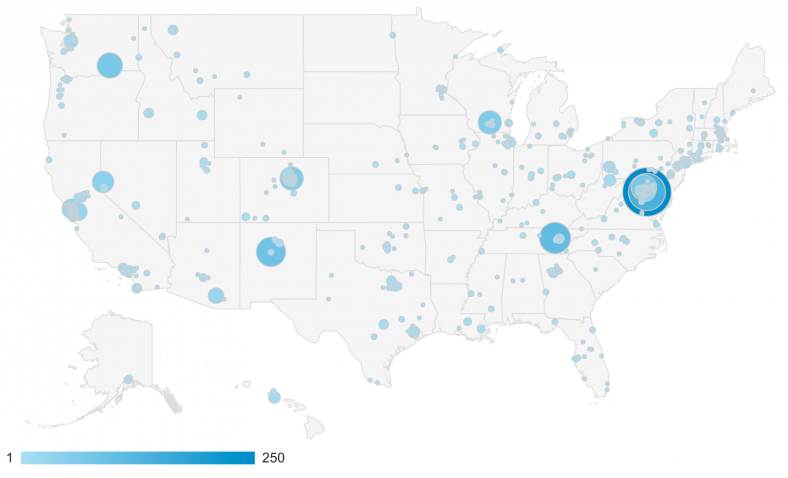 They call it Science On a Sphere, and its popularity is growing. In fact, the display is now in more than 120 museums and science-technology centers worldwide. The U.S. Energy Department (DOE) has joined the game, releasing renewable energy-related content about sources such as geothermal, solar and wind. We’re tapping this entertaining vehicle to educate America about renewable energy and the range of sustainable energy options. Power lines connecting the east African states of Tanzania, Uganda, Rwanda, Kenya and Ethiopia are expected to be completed within the next three years, helping improve supplies and power trading, a senior Kenyan official said on Thursday. A high-voltage line between Ethiopia and Kenya will be ready in 2017, a Kenya-Uganda link will be complete by the end of 2016, and a Kenya-Tanzania connection will be working in 2018, said Joseph Njoroge, principal secretary at Kenya’s Energy and Petroleum Ministry. The Kenya-Ethiopia link will be a 500 kilovolt (kV) line, while the lines to Uganda and Tanzania will be 400kV. The line to Uganda would then connect Rwanda and Burundi. All the states, except for Ethiopia, are part of the East African Community trade bloc. "In another two to three years, we should be having interconnections of Ethiopia, Kenya, Uganda, Rwanda and Tanzania," Mr Njoroge told a regional power conference. "We would expect that with such interconnections, we should take advantage of the huge renewable resources that we have in this region," Mr Njoroge said. 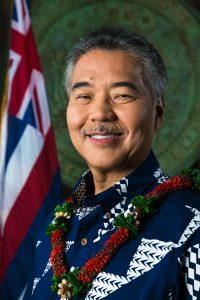 ﻿Governor David Ige dropped a bombshell. His administration will not use natural gas to replace the state’s petroleum-fueled electricity plants, but will make a full-court press toward 100 percent renewables by 2045. Ige’s decisive and ambitious energy vision is making Hawaii into the world’s most important laboratory for humankind’s fight against climate change. ﻿The Big Island of Hawaii has substantial geothermal potential, with an active volcano, but some native Hawaiians object to pursuing it lest the goddess of the volcano, Pele, be desecrated. On the other hand, other Hawaiians have been impressed by the positive experience of fellow Polynesians, the Maori of New Zealand, in profiting from geothermal energy on their land. Geothermal has the advantage for the Hawaiian grid of being steady and so able to provide baseload support offsetting the variability (called “intermittency”) of wind and solar, which can be generated only at some times of the day. A subsidiary of Nickel Asia Corp. has moved to acquire a majority stake in renewable energy firm Biliran Geothermal, Inc. (BGI), owner of the contract to build a 100 MW geothermal facility in Leyte province. BGI holds a 25-year geothermal energy contract that covers a 260-kilometer resource area in the province of Biliran. BGI already drilled eight wells in the southern part of the concession area, the companies said, noting that the site is estimated to supply about 100 MW of power to the grid. The northern portion is expected to generate another 170 MW once developed, according to the statement. Cerro Pabellón could open the door to geothermal development not only in this country but in South America. 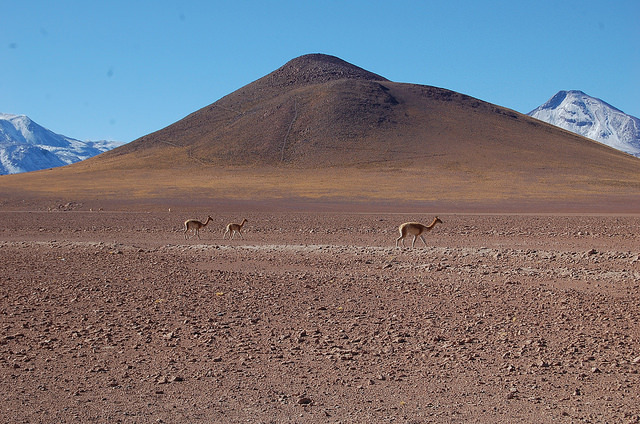 Located in the rural municipality of Ollagüe, 1,380 km north of Santiago, in the Andes highlands in the region of Antofagasta, Cerro Pabellón “will not only be the first geothermal plant in Chile and South America, but will also be the first in the world to be built at 4,500 meters above sea level,” Tokman added. Iran: 50 MW Geothermal Plant to Be Online "Within Two Years"
Iran is building the Middle East’s first geothermal power plant at the foot of an inactive volcanic peak as the country is racing to meet a runaway demand for electricity by its growing population. The pilot station in northwestern Meshguin Shahr in the Ardabil province is projected to come on stream in the next two years, putting Iran in the club of two dozen nations with the geothermal power generation capacity. The 50 MW project is in line with Iran’s bid to expand its clean energy mix which is dominated by fossil fuels. Geothermal power is cheaper and more reliable than other renewable energy sources, such as thermal or hydro power. Schlumberger Ltd. on Wednesday said it agreed to buy Cameron International Corp. for about $12.74 billion in cash and stock, the latest move by the world’s biggest oil-field services company as the industry struggles with lower prices and rising supply. The price tag values Houston-based Cameron—which makes drilling equipment and supplies maintenance equipment to pipelines, refineries and wells—at $66.36 a share, a 56.3% premium to Tuesday’s closing price. This deals followed Royal Dutch Shell PLC’s nearly $70 billion offer for Britain’s BG Group PLC and Halliburton’s $35 billion deal to acquire smaller oil-field services rival Baker Hughes Inc.
Last month, Halliburton and Baker Hughes agreed to extend until at least Nov. 25 the Justice Department’s antitrust review period of their merger. The companies are the number two and three oil-field servicers, respectively. Geothermal power is one of the leading alternatives to fossil fuel based generation given its affordability, its flexibility, and the fact it can operate 24 hours a day, seven days a week, unlike some other forms of renewable energy. However, its development is marked by high upfront costs and resource risks which necessitates public sector engagement and can discourage private sector participation. In an effort to further understand the role of public sector and the most cost-effective measures to scale-up geothermal development in developing and emerging countries, including through facilitation of private sector finance, CIF, together with Climate Policy Initiative (CPI), hosted the Third Geothermal Dialogue in Vienna. It was followed by a Country Knowledge Exchange to facilitate knowledge and idea sharing amongst countries supported by the CIF. The learnings form both events are included in the new CIF/CPI report Lessons on the Role of Public Finance in Deploying Geothermal Energy in Developing Countries. The deadline for discounted hotel room rates is this Friday, August 28. 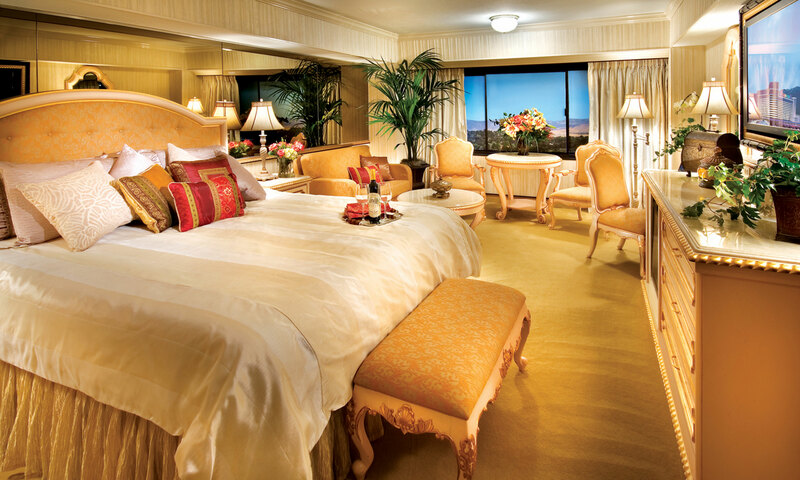 Hotel room reservations can be made by following a link here. The City of Grande Prairie in northwest Alberta, Canada is committing $20,000 to a study on geothermal energy development. Environmental Stewardship Manager Michelle Gairdner says they have looked at the success of geothermal energy in other places. "Iceland was the one that I found really interesting in that 80% of their energy is being generated through geothermal, so the cost is substantially lower. It's much more efficient than any other renewables such as wind or solar, so it's much more cost effective." As for the timeline of the study Gairdner says "They anticipate to start towards the end of this year, and hope to have something by the beginning of 2017 that would give, and again that's the is it feasible and some of the economic modelling that it would cost to go forward and do a project." The study is being done by the University of Alberta with support from Alberta Innovates. A map of the United States highlighting the locations of GDR submissions. Critical data about the subsurface is added to the GDR from sites all across the country. Credit: Jon Weers, NREL. July 15 marked an important milestone for the Energy Department’s Geothermal Data Repository (GDR), as the online geoscience tool received its 500th submission since its launch in March 2012. The Geothermal Technologies Office (GTO) deployed the GDR to store all of the data collected from office-funded projects, but also to help accelerate the research and development of geothermal energy resources by providing researchers, academia, and industry with access to this project information. The GDR is one of many members of the Energy Department’s National Geothermal Data System (NGDS), which provides free access to millions of records of geothermal research and site demonstration data. The DOE/GTO will be exhibiting at the GRC Annual Meeting & GEA Geothermal Energy Expo, September 20-23, in Reno, Nevada, USA. Helen Robinson, PhD student at Glasgow University was on hand to witness the discharging of steam from the MW-07 well at the Menengai geothermal field. A Northland marae (meeting grounds), the Far North mayor and the chairman of Northland Regional Council's Māori Advisory Committee are all behind a power company's plans to develop the Ngāwhā geothermal field. 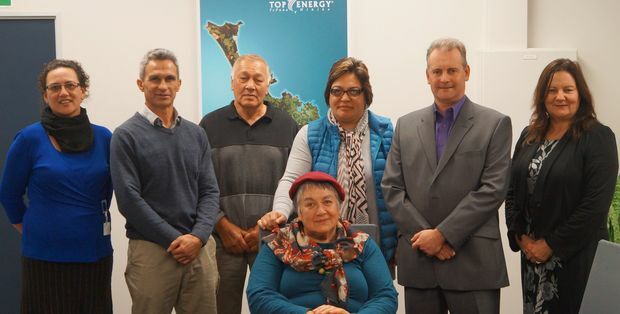 Top Energy is applying for consent to expand its geothermal power plant at Ngāwhā and has signed an agreement with the Ngāwhā Marae committee which both parties hope will lead to long-term benefits in the Far North. Ngāwhā Marae near Kaikohe recently celebrated an agreement between Top Energy and the marae's komiti to work together on land collectively owned by Ngāti Rangi hapū members. The advisor to the Ngāwhā Marae komiti, Chris Webster, said the decision on whether Top Energy would be given consent to carry out its joint project with Ngāwhā Marae was expected to be made before the end of September. She said the 25 MW geothermal power station it plans to build should be in operation in about five to six years time. 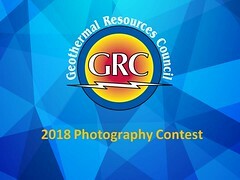 The Geothermal Resources Council (GRC) is pleased to present the entries for this years Annual Geothermal Photo Contest. In total, 51 photos are to be judged for impact, relevance, composition and technical quality. The winners will be announced at the GRC Annual Member Meeting and Awards Luncheon, the climax to the 39th GRC Annual Meeting & GEA Geothermal Energy Expo being held at the Peppermill Resort Spa, Reno, Nevada, USA from September 20-23. The theme for this year’s meeting is “Geothermal: Always On”. GRC appreciates the creativity and quality of all contest submissions. Science & Technology: Eureka! 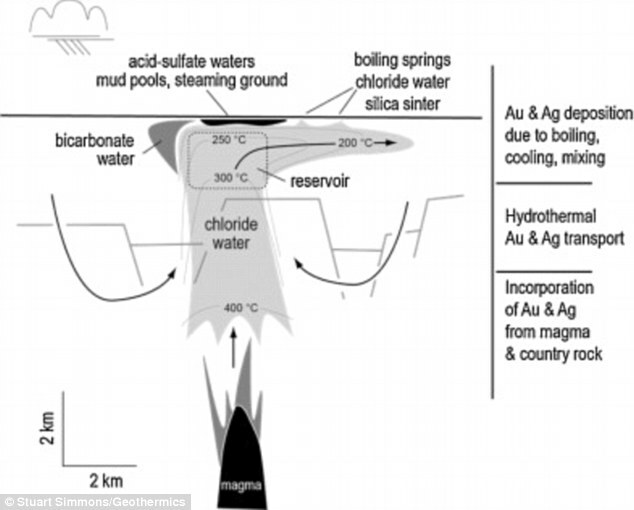 Gold Found in Geothermal Waters! A small team of researchers with members from institutions in the U.S. and New Zealand (3 of the 4 are GRC Members) has found that there are large deposits of gold and silver in at least six reservoirs beneath several volcanoes in New Zealand. In their paper published in the journal Geothermics, the team describes their investigation into geothermal systems in the V-shaped Taupo Volcanic Zone on New Zealand's North Island and just how much of the precious metal they believe is hiding down there. Gold and silver resources in Taupo Volcanic Zone geothermal systems, Geothermics, Available online 14 August 2015. In the most comprehensive analysis of electricity reliability trends in the United States, researchers at Lawrence Berkeley National Laboratory (Berkeley Lab) and Stanford University have found that, while, on average, the frequency of power outages has not changed in recent years, the total number of minutes customers are without power each year has been increasing over time. The researchers pinpointed what utilities and their regulators refer to as “major events,” or events generally related to severe weather, as the principal driver for this trend. “This finding suggests that increasingly severe weather events are linked to a 5-10% increase in the total number of minutes customers are without power each year,” said Berkeley Lab Research Scientist and Stanford PhD candidate, Peter Larsen, the lead author. Yet another Australian company has signaled a retreat from developing geothermal energy. In a corporate update Greenearth Energy, based in Melbourne, Victoria, announced a shift in focus away from geothermal exploration. The company "...has identified three near-term corporate objectives that are being undertaken to more clearly align Greenearth’s public positioning with its operating activities. These will also enhance internal governance and business structures with the aim of increasing shareholder value. With the evolution of the company’s focus from geothermal exploration and development to commercializing renewable and clean technologies..."
Greenearth had been developing the 12 MWe Geelong Geothermal Power Project near Geelong, in the state of Victoria. Following on from last year's fieldwork, girlsonfieldwork.blogspot.co.uk, this blog is all about the follow up work this year. So after 6 months of preparation, funding applications and training in field techniques such as soil gas sampling and geophysics, along with finding 2 field assists. The time is here and I am finally back in "my caldera", Menengai, for 5 weeks of intense fieldwork and catching up with some great friends. My two field assist, Mairi and Beth are first year undergraduates from the University of Glasgow and were successful in their applications to the Royal Geographical Society for an award as part of the Fieldwork Apprenticeship Scheme. 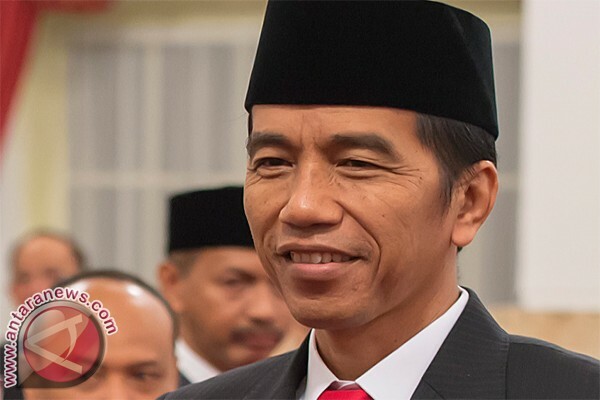 "Our geothermal energy is estimated at around 29,000 MW and we have not utilized that potential optimally"
President Joko Widodo (Jokowi) has reiterated that the government is focused on geothermal development as a renewable source of energy in the country. "We always use coal for power plants. Based on the huge potential for geothermal energy, we will focus on developing geothermal energy generation as a renewable energy source. Our geothermal energy is estimated at around 29,000 MW and we have not utilized that potential optimally," President Jokowi said on Saturday. According to the President, the government had conducted a study related to geothermal energy that will be used as environmentally friendly renewable energy. "To manage geothermal energy, the government will set up state-owned enterprises," the President stated. Indonesia and Costa Rica will strengthen bilateral cooperation in various sectors following the signing of a framework cooperation agreement between the two countries, a Foreign Ministry official has said. The acting head of the economic, finance and banking sub-directorate at the Foreign Ministry’s Central and East Europe directorate, Enjay Diana, said that among the subjects of cooperation recently discussed by the two foreign ministers were cooperation in the field of renewable energy, especially geothermal energy; disaster mitigation; transnational organized crime elimination and mandatory consular notification. “Indonesia is a country with a largest geothermal energy potential in the world. Meanwhile, more than 90 percent of energy needs in Costa Rica are covered with renewable energy, including geothermal energy,” said Enjay. require a significant and sustained effort to support geothermal exploration and resource quantification. The establishment of a new loan fund to promote exploratory drilling and to encourage mapping of the nation’s geothermal resource base would help to capture some of Nevada’s untapped geothermal resources. wells in promising but unproven areas during the next few years, leading to the discovery and characterization of new electricity-grade resources. If the United States were to allocate the same resources as it did to create the Strategic Petroleum Reserve ($4 billion) it could lead to the annual development of approximately 800 MW or 6.6 million MW/hrs of geothermal energy. The production of 800 MW annually would help to create between 4,000 and 6,000 construction jobs and between 750 and 800 full-time operations jobs. The 39th GRC Annual Meeting & GEA Geothermal Energy Expo will be held September 20-23 at the Peppermill Resort Spa Casino, Reno, Nevada. By adding a third (35 MW) generator to an existing geothermal plant, the Olkaria II Unit 3 Geothermal Project is expanding Kenya’s renewable energy capacity and contributing about 276 GWh annually to greening the national grid. Located 132 km northwest of Nairobi, the geothermal plant is owned and operated by the Kenya Electricity Generating Company Limited (KenGen). This geothermal expansion project is earning carbon credits under the Clean Development Mechanism (CDM). It is reducing the equivalent of 149,632 tons of carbon dioxide (CO2 ) per year by displacing thermal electricity that would otherwise be generated by fossil fuels. The project was registered with the UNFCCC in December 2010; the World Bank’s Community Development Carbon Fund is purchasing about 480,000 carbon credits from it. The project is also using part of the carbon revenue to finance a community benefit plan (CBP) to help poor communities living close to the geothermal plant who depend mainly on farming and livestock. The CBP, designed to address priority needs, was developed in consultation with the beneficiary communities, KenGen, regional chiefs, and local councils. The early-bird pre-registration deadline is August 27; on August 28, registration fees will increase. Please register at: https://www.regonline.com/Register/Checkin.aspx?EventID=1718867. Berkeley Lab is a DOE National Laboratory with special processing for visitors. We strongly encourage you to register early so we can process your guest pass and paperwork in a timely manner. A Preliminary Program is available to view online, or download and print-out if you wish. 1. Download the Registration Form (PDF) to your desktop. Note: Speakers and Exhibitors only have the option of completing the PDF Registration Form - They cannot register online using the link below. A geologist and a physicist say that some geothermal regions in southwest Iceland are being overused, rendering the practice ultimately unsustainable. Gunnlaugur H. Jónsson, a professor of physics and a former employee of the National Energy Authority, told RÚV that two areas – Hengilssvæðið and Reykjanesskagann – are being overused for geothermal power. The search for new high-pressure vents has prompted the drilling of a new vent once a year. At this rate, the resource is rendered unsustainable. Geologist Stefán Arnórsson agrees, adding that the pressure coming out of the vents has been steadily decreasing. Part of the problem has been planning, in that large power plants were built first in the area, instead of employing the more sustainable practice of building small power plants first, and building up from there. Nangong Village in China has plugged into the earth's geothermal power to heat up their water, transforming a rural farming village into a modern community with hot water in every home -- not to mention greenhouses and a tropical spa. In a rare ruling on Wednesday, a multibillion-dollar geothermal project that proposes drilling geothermal wells thousands of meters deep in Yilan County was referred to the environmental impact assessment (EIA) grand assembly to decide whether a fourth meeting or a second-phase review is needed. Headed by anti-nuclear activist and National Taiwan University professor Kao Cheng-yan (高成炎), the project proposes drilling 10 geothermal wells in Lize (利澤) in Yilan County’s Wujie Township (五結) over a 10-year period. A private venture, the project is expected to cost NT$10 billion (US$304.2 million) and would generate up to 101 megawatts (MW) of electricity per year, making it the largest thermal power station in the nation.